This →Inline Wikipedia History← user script for Greasemonkey will fetch a list of the most recent revisions to the current page (this one, for example) and display them inline. 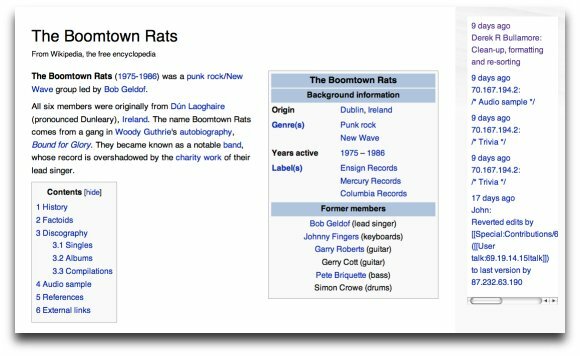 The placement of the box is designed for use with this user style for Wikipedia. Ideally the script needs extending to show a warning if there's been a recent edit and to display the changed content.